Nope, I don’t mean the 70’s dance. I mean HUSTLE as in GET IT DONE and DON’T GIVE UP. I know that some folks think of going after what they want and doing what they need to do as the GRIND. What a negative connotation that word has now—the daily GRIND. What if we started thinking of it as the daily HUSTLE? What are you doing to get things done? Are you doing everything you need to do? Are you going after things with passion and from a productive mindset? Are you in control? Get up, set your expectation, breathe, and then HUSTLE. 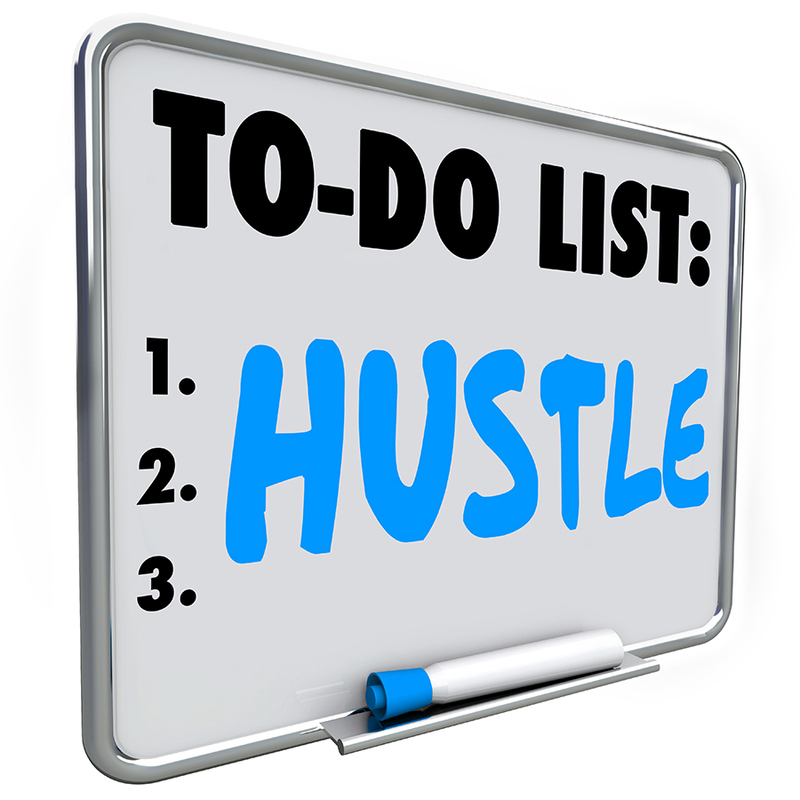 What would hustling mean to you? For me, it’s all about having a plan and making sure that I take steps throughout the day to make the plan a reality. Planning doesn’t get me anywhere without execution of the plan! Hustling means making calls, meeting new people, making connections to get in front of a room to speak, making connections for others who need to know who I know, and making a notch in my progress-toward-my-goals belt. Get up, take a breath to get centered—drink your coffee, tea, water with lemon, whatever, and just take a minute (or 5) for YOU. At the end of the day, take a moment and reflect on what progress you made and give yourself credit for what you accomplished toward your expectation. Hustling is all about getting into and staying in shape—this is what you’re doing for your business if you are going after things with passion and intention. You’re getting into shape, and people will notice! Now get out there and HUSTLE!